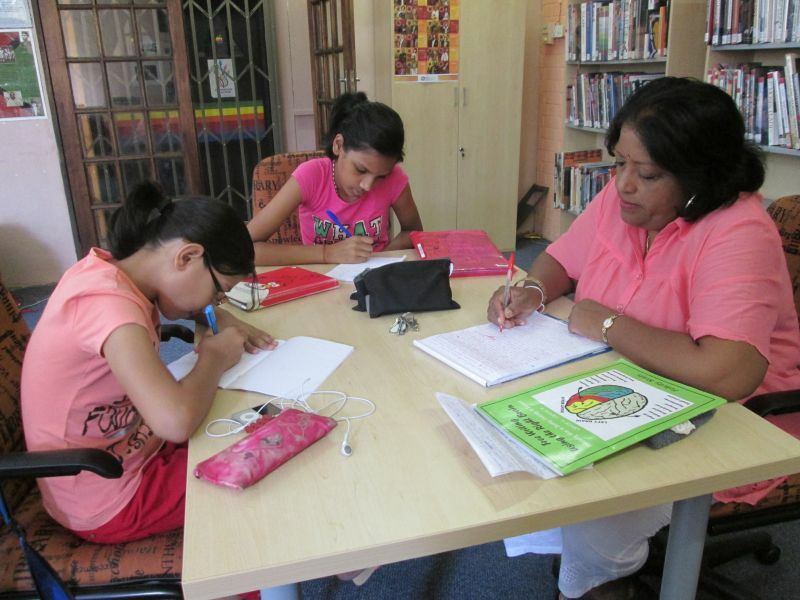 The BAT Junior Dancing Pencils Writing Club which has been running under Ms Veena Gangaram for four years is back in action. It takes place in the library at the BAT centre on the bay side, Durban. The success that Veena has had with the learners is phenomenal! Young children of 12 years producing books of more than 200 pages is nothing unusual in this Dancing Pencils Writing Club! One young author, Nemeesha Hiraman, has even written a series of three novels, in which the same characters feature. Last year’s successes were Dayaan Parthiephal and Kiara Gareeb with excellent novels of more than 150 pages. However in their first year in the club, members publish stories in an anthology. In their second year they graduate to writing their own stand alone novels. These published works stand them in good stead in their CV’s at a later stage.